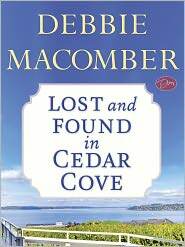 Debbie Macomber's heartwarming new series, set at the Rose Harbor Inn in picturesque Cedar Cove, displays the author's signature talent for creating characters who feel like friends, and small towns that feel like home. In this original short story available exclusively as an eBook, Jo Marie Rose readies her inn for spring, turning to her new friends Grace and Olivia when she needs them most. Jo Marie has big plans for her bed-and-breakfast. With the help of handyman Mark Taylor, she intends to plant a beautiful rose garden in time for her upcoming open house. Jo Marie and Mark rarely see eye to eye -- especially on matters of home improvement -- but she knows he has her best interests at heart. After the two walk the grounds, Jo Marie realizes that her beloved rescue dog, Rover, is missing, and at a time when she most needs a friend, Mark abruptly leaves. Confused by Mark's behavior and worried for Rover's safety, Jo Marie searches for her precious pup all over Cedar Cove. Rover is on an adventure of his own -- one that will lead to a delightful surprise for two unlikely people.